Categories: Production Printers, Wide Format. 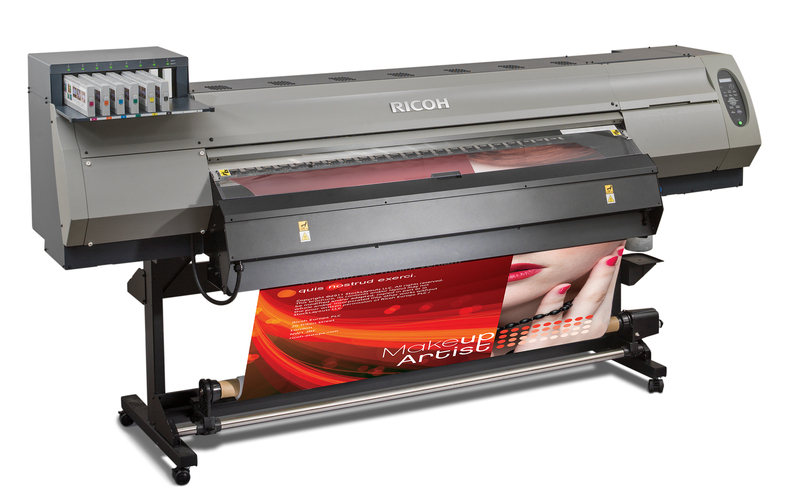 The Ricoh Pro L4130 is the perfect solution when you want to complement your offering with display printing. Hugely versatile, these printers will give you a wide variety of display material in high quality colour, thanks to the Ricoh GEN5 print heads. By using the latest patented multidrop jetting technology, these heads can create a droplet as small as four picolitres, resulting in smoother colour gradation with no need for light magenta or cyan. What’s more, thanks to the addition of orange and green inks, you’ll also benefit from brighter images as well as a greater colour gamut – up to 93% of the Pantone range. 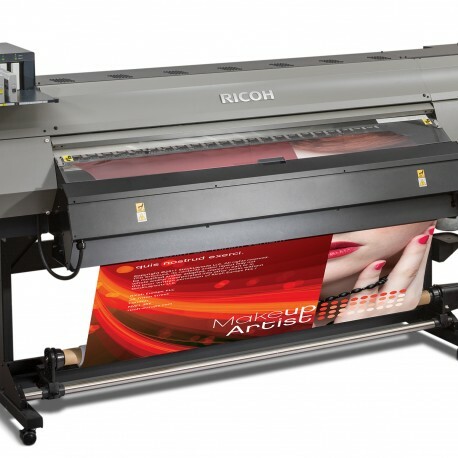 The Ricoh Pro L4130 uses eco-friendly, durable latex inks, which are suitable for indoor and outdoor use. The anti-face qualities are good and sufficiently weatherproof to last two years in most conditions. Cartridges are reusable as well, reducing waste and saving money. You can print on a huge variety of media such as films, textiles, vinyls and papers as well as creating POS/POP displays. You can even use the Ricoh Pro L4130 as a label printer for short runs. A maximum output of 18m2/hr means the best productivity in its class. And there’s no waiting for secondary processes either, because drying is almost instantaneous, thanks to its built-in heat unit. Finally, low VOC’s mean no special ventilation is needed, making installation and operation of the Ricoh Pro L4130 easier and safer.